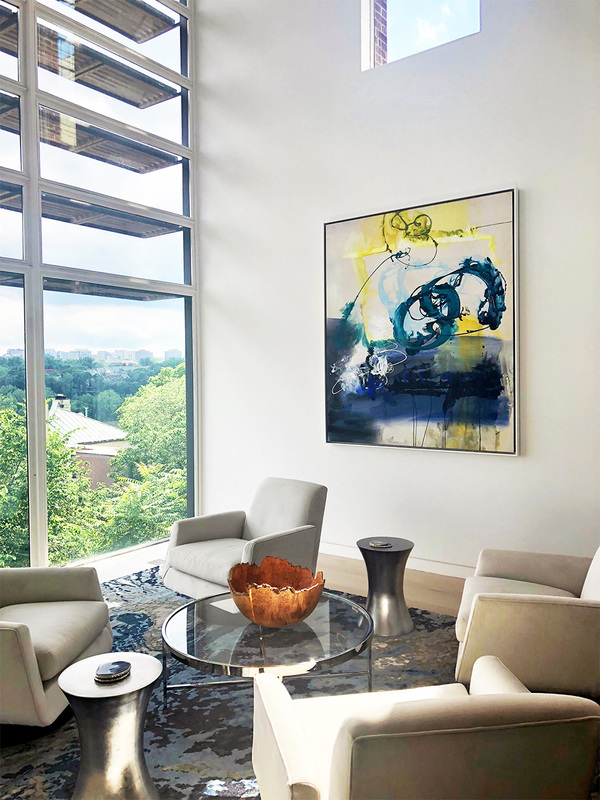 This modern city home has gorgeous views—Kari Taylor’s Fast and Loose included. The variations of blue and sunny yellow add vibrancy to the neutral space, while Taylor’s expressive, curving brush strokes contrast the room’s clean lines. To see Kari Taylor’s works in person, visit the gallery closest to you.